Clothes might look just perfect when you see them online or check out the model size. But it is still essential to review the size chart before you head to make the payment. The size chart is actually there to help you with your size concerns. You might even need to dig deep if a website is containing several brands. If you check the size at designer’s or company’s website, you would get a clear idea. Because, many a time, the shopping site’s size differs from the original size given by the company. You must be knowing your body measurement but, it is also crucial to ensure it once in a while as body size can expand or shrink. It is well-known to all you shoppers that sizes vary from brand to brand and country to country. Moreover, with online shopping, you do not have the luxury of trying out your dresses in the trial room. So, take a measuring tape and note down your busts, waist, and hips. Know your knee lengths to make the shopping easier. How you experience the material on your skin is as important as how the size fits you. There’s no worse feeling than eagerly waiting for a dress and getting it only to find out that the material feels uncomfortable. Get familiar with the fabric content as you cant touch the item in the photo you want to order and you cannot get to know the texture. Find dresses from your wardrobe that has a texture you love, and also find dresses that are itchy or uncomfortable. Make notes and avoid such material when you shop online. You must be knowing that the colors that appear on screen are not the exact thing you would get. Be prepared to accept a slight change in the hues. Because the color appears virtually does not turn to be that way in person. Keep in mind that if the color does not match even the adjusted expectations, you have all the right to send it back. 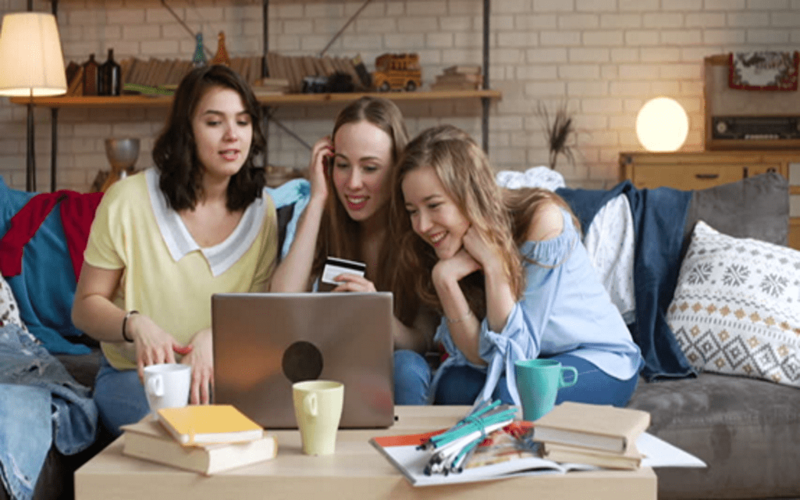 Even though you have followed all the above-given steps, and you are a regular customer of a particular website, you must double check the return policies. Get acquainted with return policies before you place the order. Get to know if there are free returns, in how many days you can return the product if they allow to exchange the dress or not, and all. Along with all these details, you should make notes on the websites and retailers you shop often from. It would help you to make future purpose easier as you gain enough insight about the items you love to buy. Getting coupons from Couponobox can be greatly helpful to spare your money and get best of the best products at discounted rates. So next time you shop online, bear in mind the information given here and have a happy shopping time!